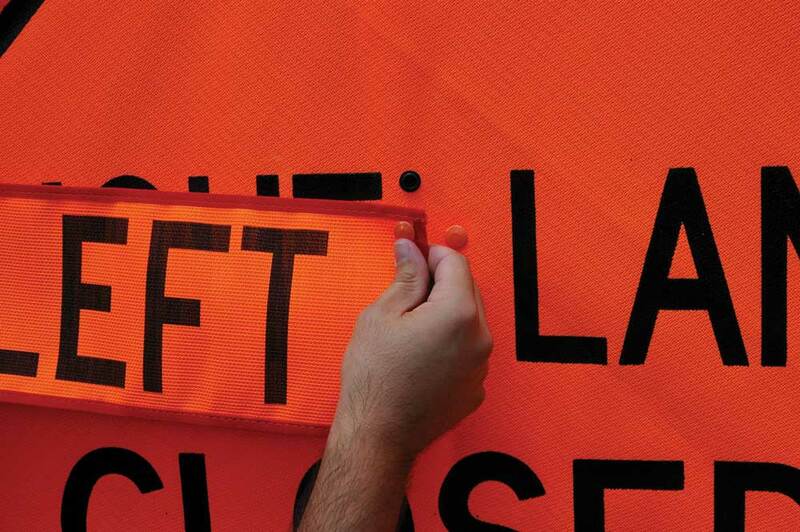 All overlay panels attach to sign faces with durable, weather resistant brass snap button fasteners. Velcro may be used upon request. Signs and overlays are designed so that overlays may be attached to the back of the sign for storage.